Chateau Frontenac, la ville de Québec. 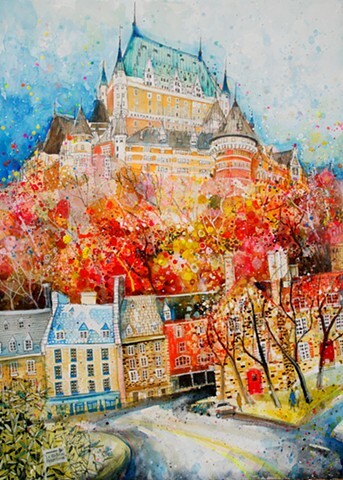 This print was originally available in a smaller size as part of a fundraising campaign for French Immersion students. This offer has now expired. However, this image will now be available for purchase as an open edition 18'' x 24'' print.